Award Season is officially here! 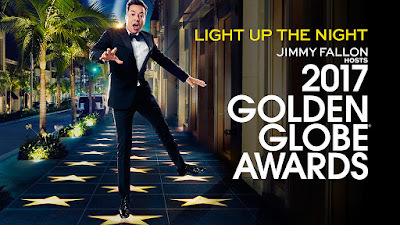 The red carpet is rolled out at the Beverly Hilton for tonight's 74th Annual Golden Globe Awards, hosted by Tonight Show host, Jimmy Fallon! It's become tradition at On the Mic that we put in our picks for who we think will take home the prestigious Golden Globe Award. This year's nominees are absolutely incredible! So many amazing performances and incredible films have been nominated this year. 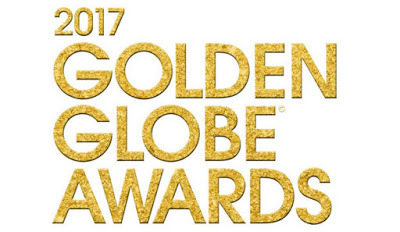 The Golden Globes are always a little bit harder to make picks on because I never know what direction the Hollywood Foreign Press is going to go. They always seem to enjoy throwing us a curveball every year with the Globe winners, but either way, we're excited to see who takes home the awards tonight. Without further adieu, here are this year's picks. Don't count out “Moonlight” just yet. While "Manchester By The Sea" seems like the lock, "Moonlight" has picked up a lot of steam over the last few weeks. Don't count out Amy Adams. The "Arrival" star gave an incredible performance this year and is always an award season favorite! After Ryan Reynolds win at the Critic Choice Awards, some people think this award could very easily fall towards the Deadpool star. While I love Reynolds, I don't see it happening. However, if there is one category that I think we could see a curveball, I think we could see Colin Farrell sneak in with "The Lobster". It's great to see Hailee Steinfeld back in award contention for "The Edge of Seventeen", but this award has Emma Stone written all over it. This was honestly one of the more difficult areas to pick. There were so many great performances nominated here. Honestly, Jeff Bridges and Dev Patel had incredible performances, but given the current push behind Moonlight and Mahershala Ali, this is where I see the award falling. This is an interesting category with Mel Gibson being in the mix. We haven't seen Mel in a while and this could be the moment to see his Hollywood will give Mel another chance. I don't see it happening. Damien Chazelle won audiences over with "Whiplash" and he's done once again with "La La Land"! This is probably the most stacked category this year. Every show in this category has captivated audiences all year long. It was hard to pick who I felt was the one that was going to stand out among the pack. Overall, "Game of Thrones" has had the biggest impact on audiences this year. Another categories with so many great nominees. "Atlanta" was the breakout hit of the year that everybody was rooting for. We've all missed Donald Glover on TV since his departure from "Community". Glover made an incredible show with "Atlanta" that lived up to all of the hype and excitement. After Rami Malek's Emmy win, and an incredible second season of Mr. Robot, I think we see Rami Malek finally take home the Golden Globe as well. Don't be surprised if you see Evan Rachel Wood take this category for "Westworld". This was another incredibly strong category, with several nominees that have previously taken home the Golden Globe. This year is Glover's year though after giving us this breakthrough hit. Don't count out Rachel Bloom just yet! After her surprise win last year, the star of "Crazy Ex-Girlfriend" could be ready to take home her second Golden Globe. Courtney B. Vance was absolutely incredible as Johnny Cochran. I would be shocked if he didn't take this home. I know a lot of people believe John Lithgow will take this home for his role in "The Crown", but Sterling K. Brown was incredible in the "The People v O.J. Simpson". After his win at the Emmys and the shows success, I think he keeps his award coming in by taking home the Golden Globe. Those are my predictions for this year! Let's see how I do. Make sure to follow me on Twitter @timdrake while I live tweet the show. 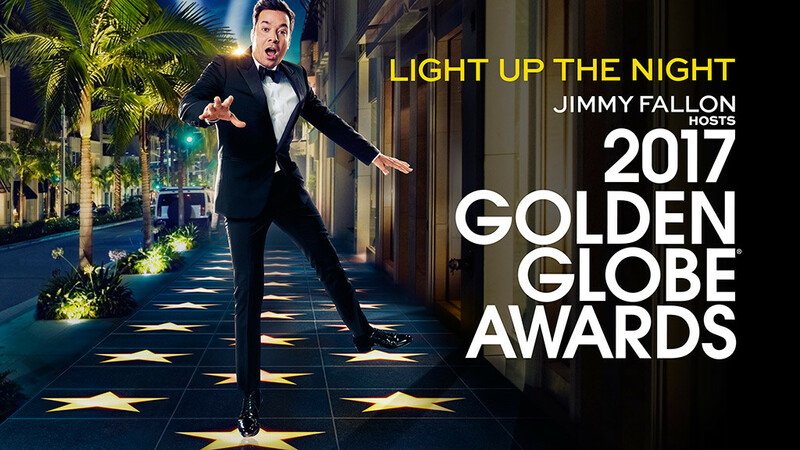 We can't wait to see what Jimmy Fallon has in store for us and who is taking home the Golden Globes. Tune in TONIGHT on NBC!